Rudraksha beads hold the power of Lord Shiva to gift humankind a better, healthier and happier life. People often wear Rudraksha around their neck or wrist. 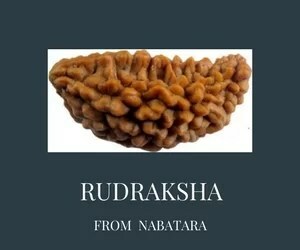 Basically, Rudraksha is the fruit of the Rudraksha tree. It is popular for its spiritual and medicinal power. Maximum Rudraksha grows in Indonesia (around 65-70%). This is the country where Rudraksha tree was first discovered. Later, it started growing in India, Nepal and Sri Lanka. The best Rudraksha beads are distributed among the countries, like India, Madagascar, SriLanka, Nepal, Myanmar, Sikkim, Tibet, Bhutan, etc. Among these countries, Indonesia and Nepal are the main growing ground of Rudraksha. Are there any similarities between the two? Or are these completely different to each other? Here, you will get a detailed account on these two types. There are natural holes in the center of Nepalese as well as Indonesian rudrakshas. These are used for threading to make a rudraksha necklace. One can make wrist band with it. The internal structure of these two types of rudraksha beads are similar as both of them comes with same number of seeds inside it. These are known as ‘Mukhis’. These two types of rudraksha beads are found in 21 variations, including Ganesh rudraksha, gauri Shankar rudraksha, etc. 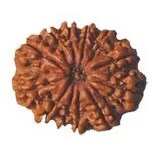 Rudrakshas are famous for spiritual as well as medicinal properties. Both of them provide equal benefits while tested scientifically. Though both of them look quite similar, the Indonesian rudraksha comes with smoother surface. The face or mukhis are lined in a white line that runs from one side to the other. In the Nepalese rudraksha, these lines are deeper than its Indonesian counterparts. 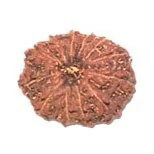 Presently, Nepalese rudraksha has become immensely popular in the USA and China. The cost of Nepalese rudraksha are hiking enough. Though Indonesian beads are not so priced like its Nepalese counterpart, still it is also getting popular. Actually, the size of the rudraksha depends on the location where it grows. That’s why the Nepalese versions are quite bigger than the Indonesian rudrakshas. Basically, the Indonesian ones are the smallest around the world. Though there are lesser chances of being fake, still the Indonesian beads are more genuine than the Nepalese beads as the later one is easy available. As Nepalese beads are bigger than the Indonesian ones, they cost more. Nepalese rudraksha beads are heavier than the Indonesian ones because of their bigger size.